My project for today is a simple card which I made for our wedding anniversary. The sentiment and the stamp is from heartfelt creations. 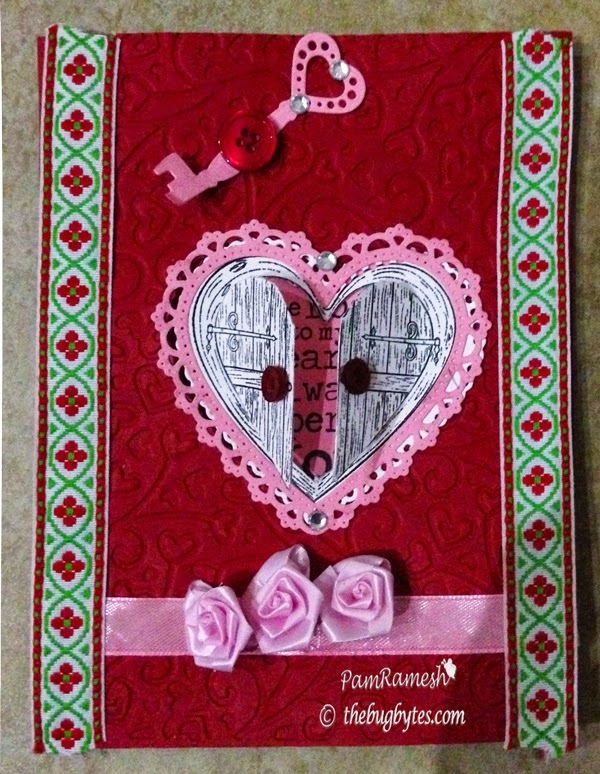 The lacy heart die is also spellbinder/heartfelt creations. 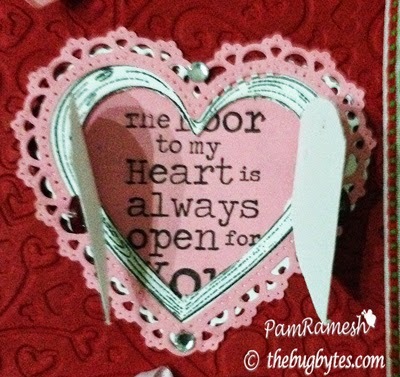 I cut the stamped heart to open the door as a window card to reveal the quote which is on the inside of the card . The embossing folder is Anna Griffin folder. Border ribbon was a roll I had from India. Pink satin ribbon and roses for more embellishment. It was sure fun making the card. A bit of work but I liked the result and so did hubby. Hope you liked it too. Thank you all for reading the post and I appreciate all the lovely comments you all leave. Congrats on your gdt spot and your card is just gorgeous. Loving those opening doors to the heart.